This entry was posted in It's Monday What are you reading? and tagged Akihiro Nozaki, Alison McGhee, beginning chapter books, David Almond, E.B. 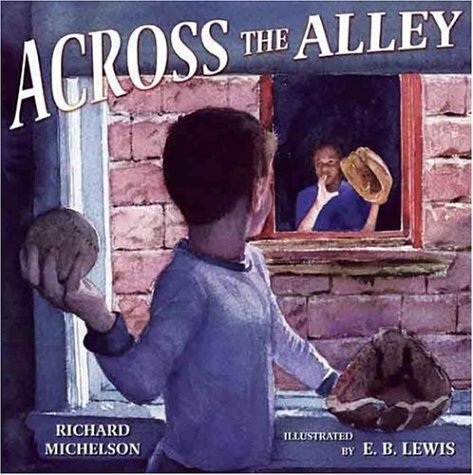 Lewis, favourite illustrators, fiction, Frank Serafini, great read alouds, Hallie Durand, Judi Barrett, Kate DiCamillo, Kerry Lee Maclean, Linda Smith, Marla Frazee, Mitsumasa Anno, Monday reads, picture books, Richard Michelson, Ron Barrett, Stephen Lambert, Tony Fucile by carriegelson. Bookmark the permalink. Mitchell is such a REAL little person! I can just hear the same phrases coming out of my own child’s mouth. Adding Biddlebox to my list because I’m also a Frazee fan and haven’t seen this one! This is a wonderfully sort of different Frazee – still the style but all kind of darker. Yes, Mitchell is an absolutely realistically depicted little one! 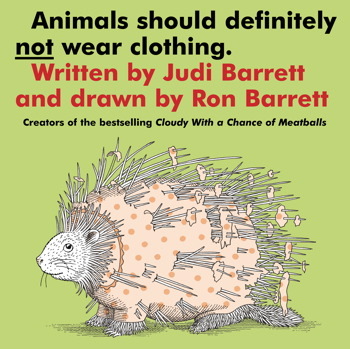 Animals Should Definitely not Wear Clothing sounds like fun. I’m going to Amazon to check it out next. 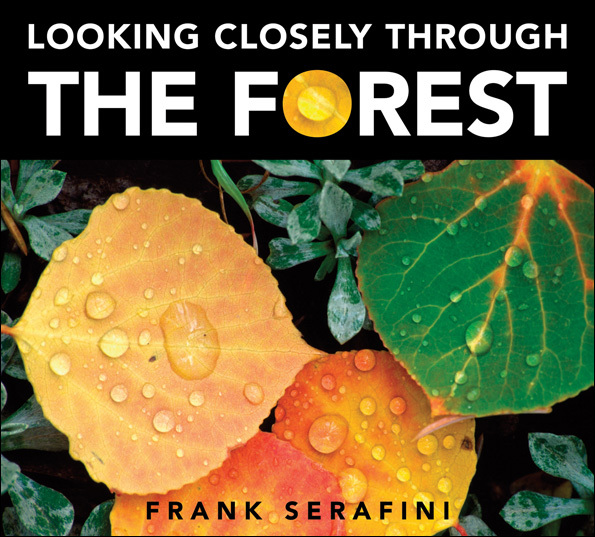 Looking Closely Through the Forest is a new one on me–love new nonfiction! Thanks for your tweet to know about your post. There are many of these Looking Closely titles. I am just beginning to discover and read them. Also one about the shore – aren’t you near a beach now? I loved Mitchell Goes Bowling! Mitchell’s hipster dad is just awesome. The rest of the books on your list are new to me, and you know what that means: I WANT THEM ALL! Seriously, every single book looks like a must-read to me! 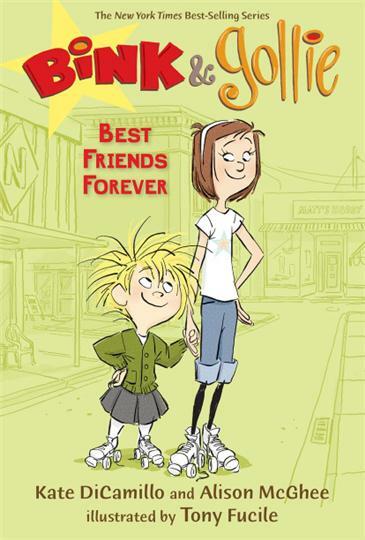 Can’t wait to see the new Bink & Gollie–just love that series. Question about the Jo Knowles: should I read Jumping Off Swings first? Yes, read Jumping Off Swings first. For two reasons – one it is just that great and two, there are references. I have read everything Jo Knowles. Love her! I know what you mean – Mitchell’s Dad is absolutely the coolest! I wanted to go bowling after reading this title! Carrie! You are possibly oneof the reasons why my Pinterest account is resurrected. I shall definitely be pinning ALL of these picture books. 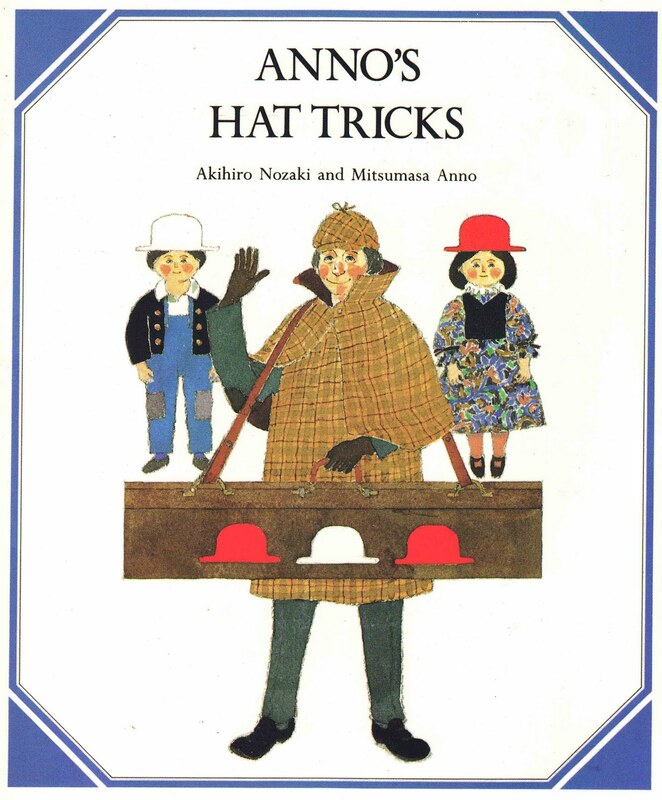 Like you I am a huge Mitsumasa Anno fan. In the interview that I’ve done with Leonard Marcus for our book Beyond Folktales, he mentioned Anno’s delicacy in his artwork and how his being an educator influenced his picture books. 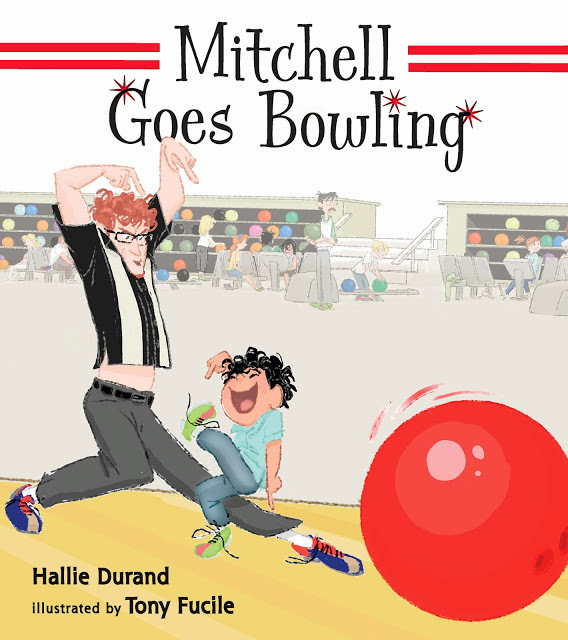 Mitchell goes Bowling also looks like a fun book – the illustrations so alive and dynamic! Thanks for sharing all these, Carrie. I actually chuckled out loud at two of your book covers. MITCHELL GOES BOWLING and ANIMALS SHOULD DEFINITELY NOT WEAR CLOTHING have such silly and fun covers. I bet kids gravitate toward them. Thanks for sharing these great books and great find with the $1.99 purchase! Nice one! It’s amazing when a cover can inspire laughter and then you know you still have the entire book to be entertained! 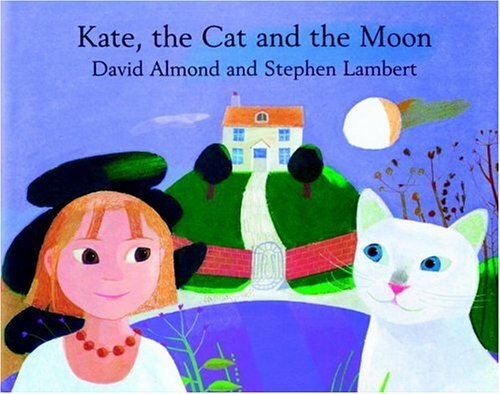 Love the look of Kate, the cat, and the moon. It is by David Almond whom I love, so I’m sure it’s good. Did you know it and Biddlebox are no longer in print, need to be ordered used. So many good books here, Carrie-love the look of Peace Piggie Meditation, too. And I’ve seen the Anno book, like all her others, it’s great. Thanks again for every one! I didn’t know these were no longer in print – that makes me sad. I read both at a friend’s last night. I always bring books to share when our families have dinner together and they share treasures with me. So now I feel even luckier that I read them! 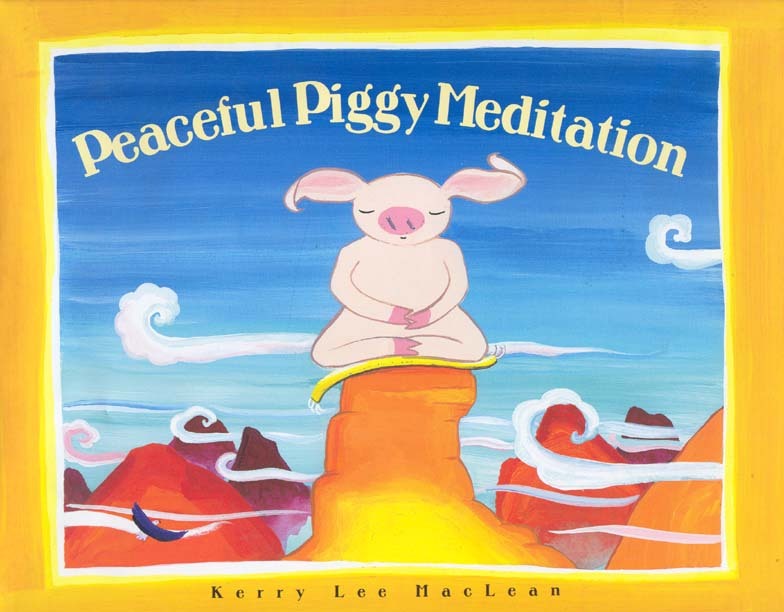 Peaceful Piggie is a great title for classrooms practicing mindfulness! ANIMALS SHOULD DEFINITELY NOT WEAR CLOTHING looks hilarious. Putting that one on hold at the library for sure. It is very funny! Love that it was first published in 1970! Thank you, as always, for bringing books to my attention! 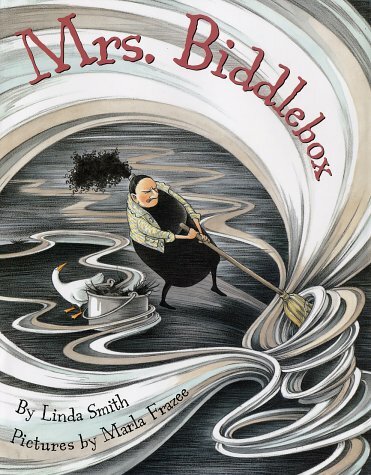 I just requested Mrs. Biddlebox, Mitchell Goes Bowling and Anno’s Hat Trick-all look awesome for very different reasons! I absolutely adore Bink and Gollie, who can not love them?! Hope you have a great week! 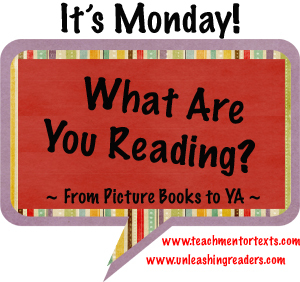 Love your mix of books this week! 🙂 Can’t wait to read Mitchell Goes Bowling, my son LOVED the first book, Mitchell’s License! And I haven’t seen Mitchell’s License and am now on the lookout for that title! Tony Fucile’s illustrations always seem dynamic. I’ve been noticing lots of meditation books aimed for kids lately. The MindUp curriculum is becoming more and more widely used as is the focus on self regulation strategies – I think this is why these titles are so common right now.